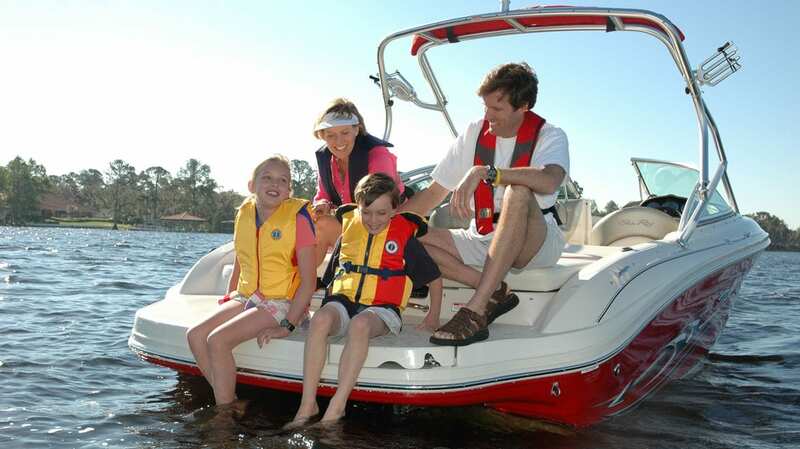 The kids are out of school and summer is official underway, are you ready to go boating? We are lucky to live here in Northeast Florida where we have plenty of waterways to choose from; the St. Johns River, Intracoastal Waterway, Atlantic Ocean, and a multitude of creeks and tributaries. So why not grab your family and get out on a boat this summer? It is the perfect way to connect with your kids and have a ton of fun! I recommend the boating lifestyle to all families and not just because I am in the boating business. I grew up with parents who were competitive water skiers at Cypress Gardens and always being on a boat together strengthened our bond. Nowadays, the distractions are everywhere – smartphones, tablets, ipads, video game systems, you name it – but when you are on a boat you have the opportunity to unplug and focus on your time together. Having fun is what summer is all about! You can swim, fish, water-ski, wakeboard, all things you can’t do if you aren’t on the water. There are also plenty of art, science or music projects you can conduct on the water. The important part is being together with no schedule, few distractions, and a focus on the family. Boating is like a get-away, without going far. Being out on the water gives everyone a break from the stress and hassles of everyday life. It is a much needed escape, whether for an hour, an afternoon, or maybe a little longer. It is a good, healthy way to get the family outside. Pack a healthy picnic lunch, pick a park you can boat to, bring along a Frisbee – have fun and stay active. Tell your kids to invite their friends along. Boating with your kids and their friends is a great way for parents to keep their teen or pre-teen close and get to know who your kids are hanging around. And if you don’t own a boat or don’t want the hassle, Freedom Boat Club is a great way for you to get out on the water. Just join our club, make your reservation and we will do the rest. We are surrounded by water here in Northeast Florida, so you may as well take advantage of this gem and get out on a boat today.